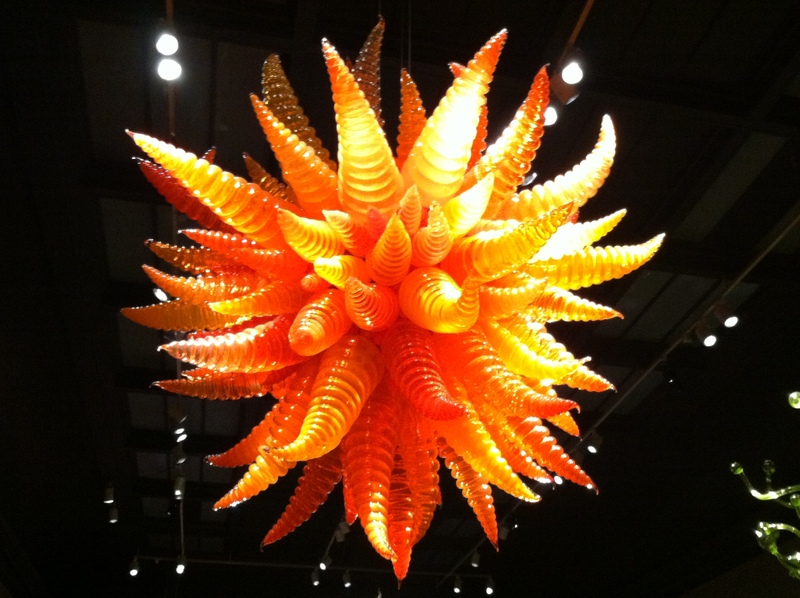 Blown glass fan or not, visiting American glass sculptor Dale Chihuly’s large-scale nature-inspired installation at Montreal’s Museum of Fine Arts – or Musee des Beaux-Arts – is a visual sensory experience. 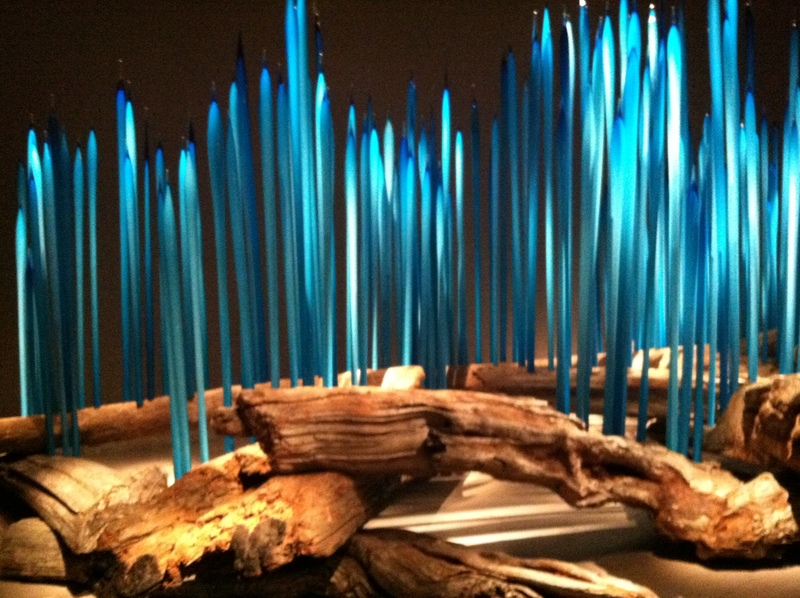 Turquoise Reeds spring from trunks of old growth western cedar. 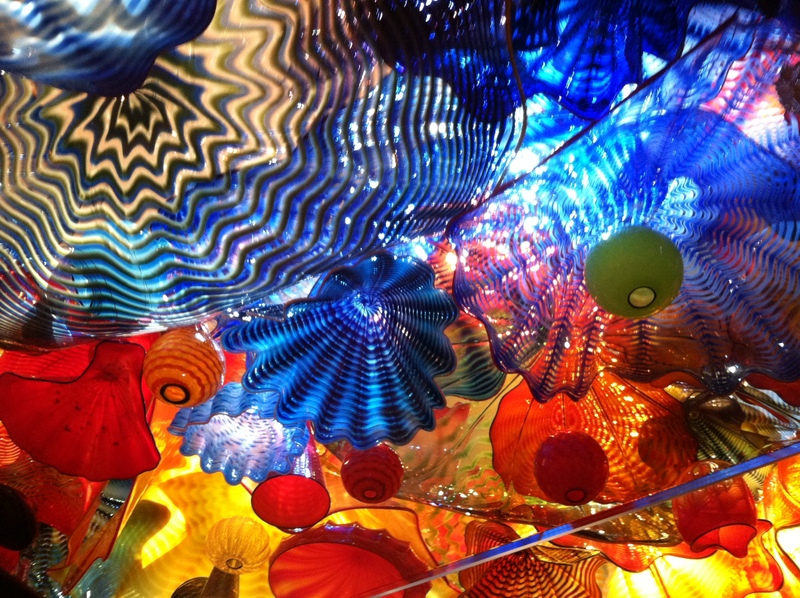 71 years old, blinded in one eye from a head-on car accident and having suffered a shoulder injury, Chihuly now serves as what he calls choreographer and visionary of his art, and employs others to do the actual muscle work of making his glass creations. 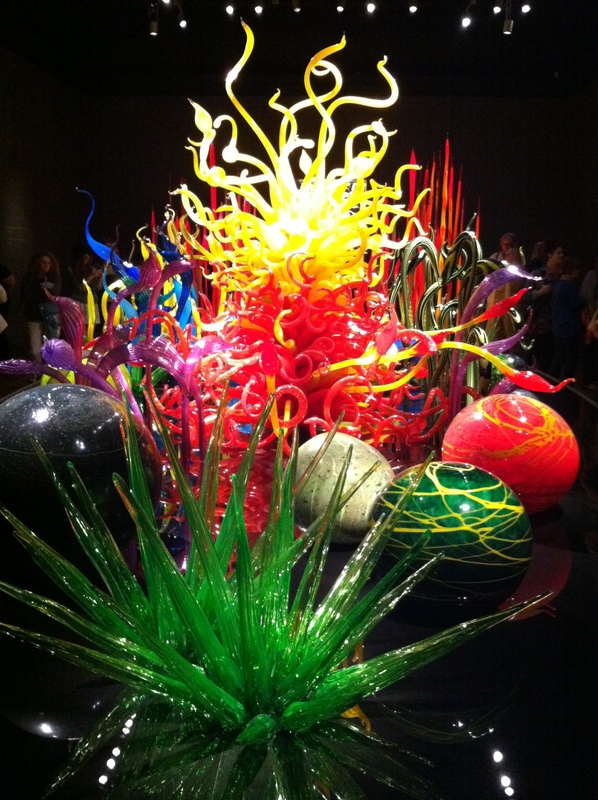 Other than the color and beauty, I was struck by the size of the glass pieces. They are really big. To transport, it must take a lot of packing (miles of bubble wrap?) to keep his art safe from breaking. 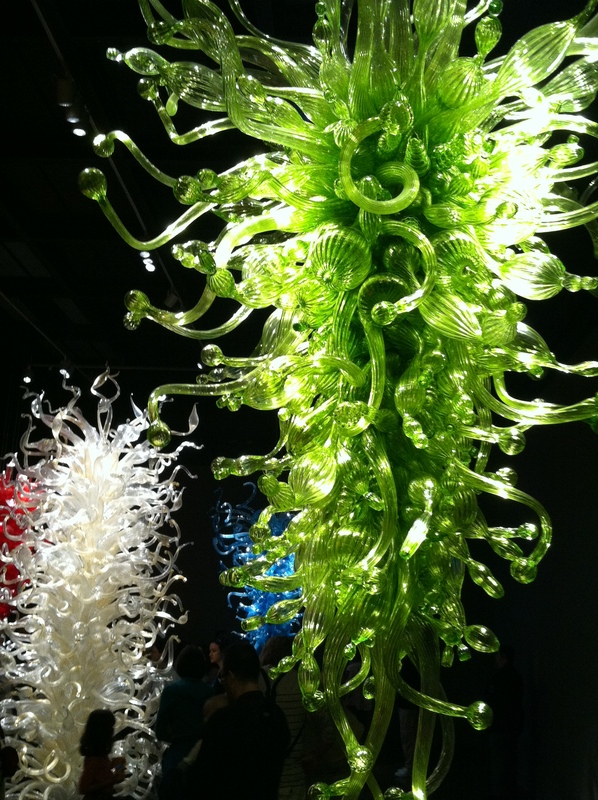 The extent of my experience with blown glass is collecting the small figurines in Venice, and I was blown – pardon the play on words – away by the effect this exhibit, called “Utterly Breathtaking”, had on all those present, this writer included. Visitors can sit leisurely on cushions placed on the floors in the corners of the Chandelier room and take it in. 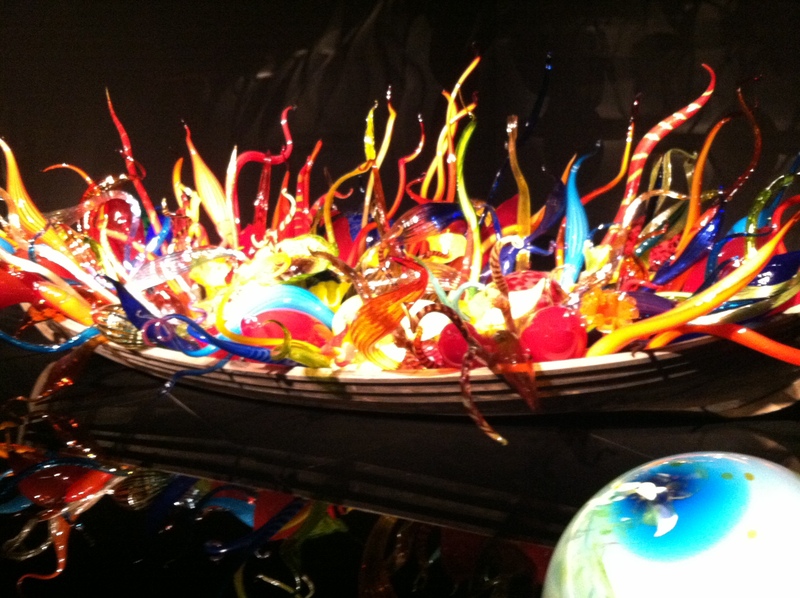 Boats. 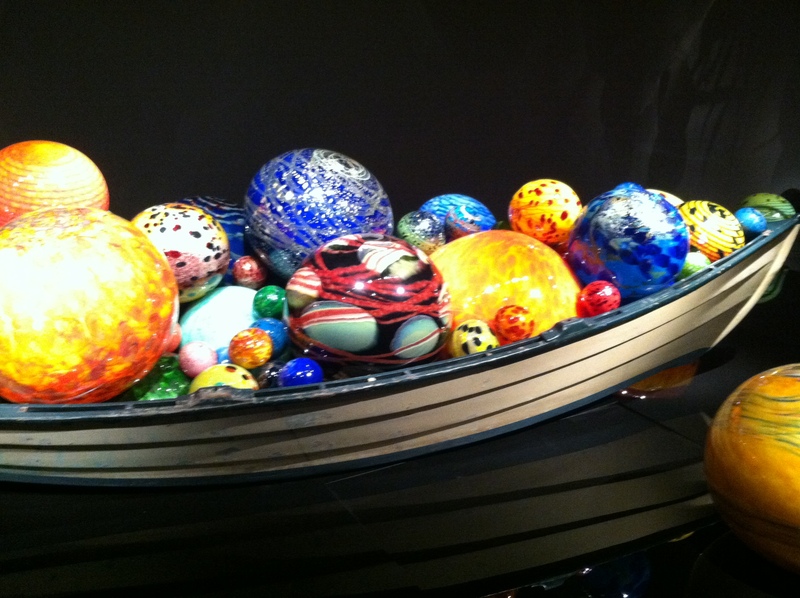 (I read he purposely dumped pieces of his glass art in the water to be retrieved onto a boat and liked the effect). 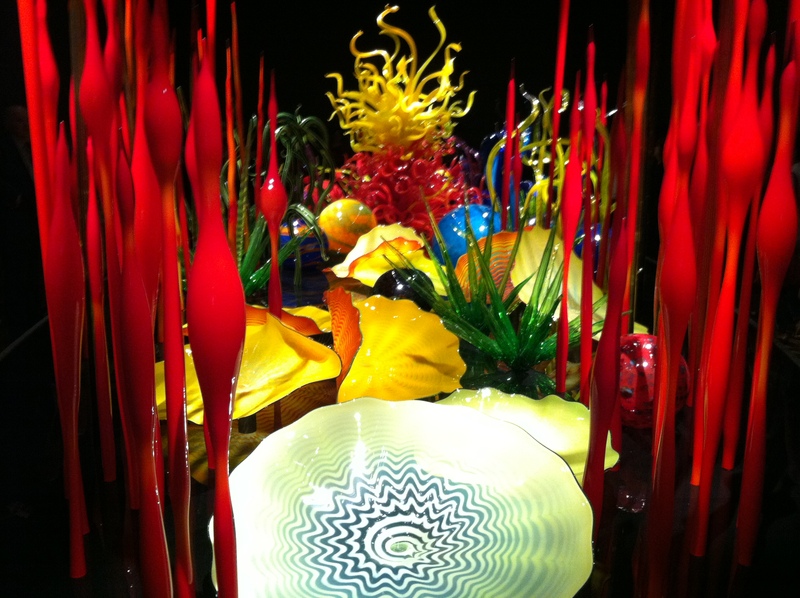 Macchia Forest. 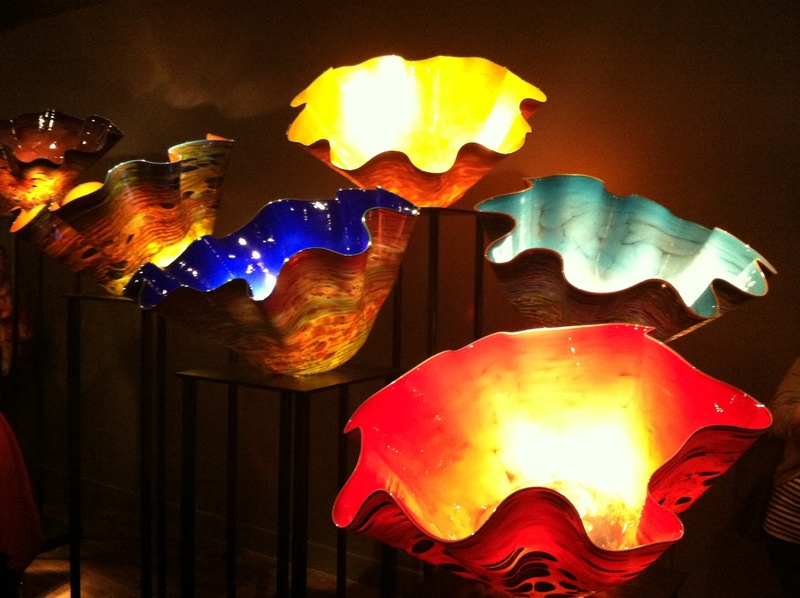 (Macchia means “marks or spots” in Italian and he worked with spots of color in these pieces illuminated by light shining down into the bowls). 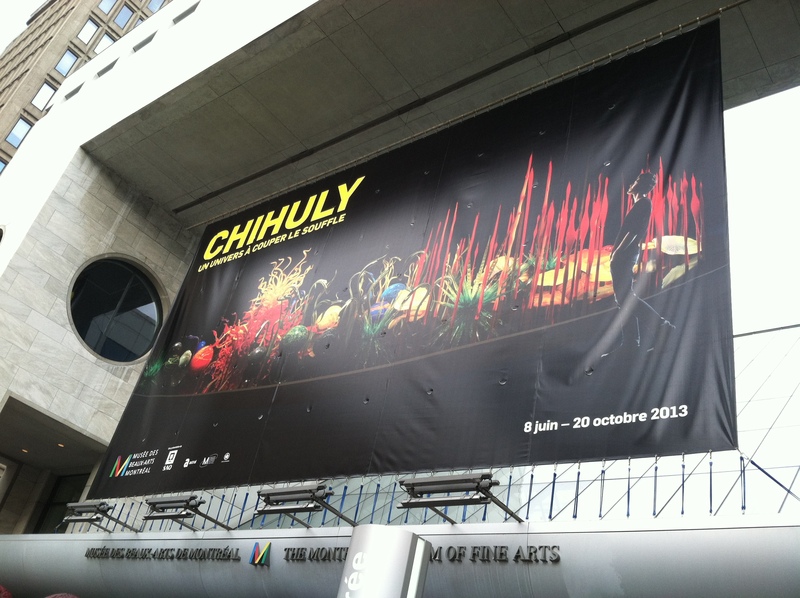 If you are in Montreal, take advantage of the half-off tickets ($10 Canadian) on Wednesdays from 5 – 9 pm. 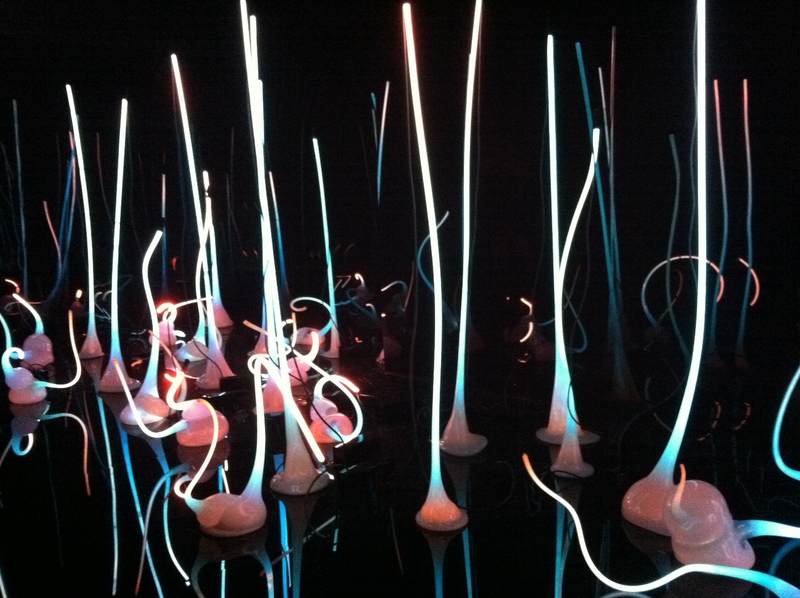 “Utterly Breathtaking” runs until 20 October, 2013.